Why this shellfish is good for you? Miss our risotto recipes? Well, look no further. After our Risotto with English Peas recipe, today, you can check our Risotto con granchio recipe, a.k.a. Risotto with crab. It is common knowledge that most seafood is considered healthier fare compared to any kind of red meat. And crab meat is among the healthiest seafood you can possibly get your hands on. But are you aware of the full range of its health? Read on and find out. A very important building block for the creation of muscles, cartilage, skin, blood, and bones in the human body, protein is also responsible for tissue repair and production of necessary enzymes and hormones. Considered as good fatty acids, Omega-3 lowers blood fat levels, reduces joint pain and stiffness, and lowers inflammation. And although research are not 100% conclusive, some scientists also believe that it may help protect brain cells and help prevent dementia and Alzheimer’s disease. An essential mineral needed for brain function, selenium also aids in maintaining the human body’s immune system, thyroid functions, and fertility, for both men and women. It is also a powerful anti-oxidant that slows down or prevents cell damage and promotes cardiovascular health, which basically means it is good for the heart. Much like selenium, riboflavin is an important substance for the human body. It helps maintain healthy skin, nail, and hair, boosts immune system, promotes healthy muscular and nerve functions, and aids in minimizing damage to the brain, liver, and blood cells. Copper is essential in the storage and absorption of iron, which makes it essential in the creation of blood cells. It is also important for the health of bones, nerves, and immune system. Phosphorous, on the other hand, is essential in the creation of bones and teeth, much like calcium. This means it is important in the development and health of the skeletal system. A note of caution, however. 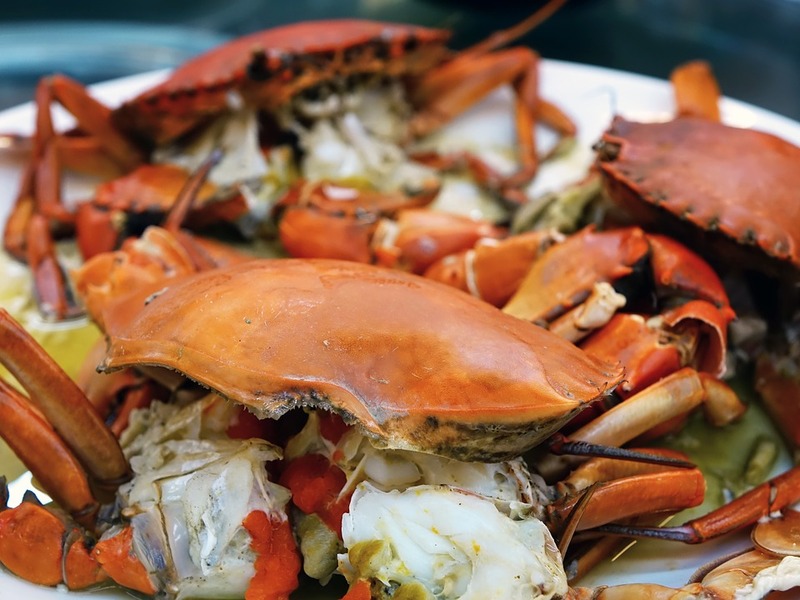 Aside from all the good stuff that can be found in crab meat, it also contains a high amount of sodium and cholesterol. 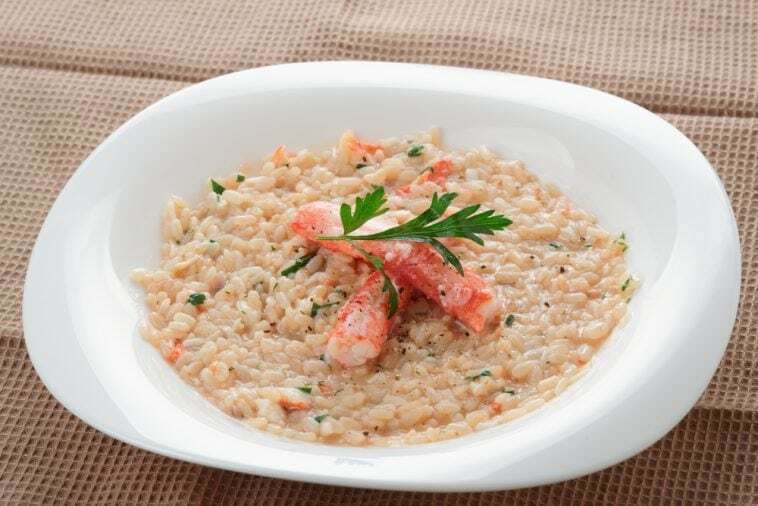 So if your doctor advises you to minimize intake of these two, you may have to watch how frequent you make the risotto with crab recipe below on a regular basis. Now that you know all the health benefits of this seafood, let us now proceed to the scrumptious stuff… the recipe. In a pan, melt the butter, and add the olive oil and chopped onions. Cook for a few minutes. Add the rice and toast for a couple of minutes. Pour the champagne or white wine and let it evaporate, stirring constantly. Add the vegetable or meat broth, and stir. Then add the carrots and celery. Let it simmer in medium heat until the liquid is absorbed by the rice. When the rice is almost done, add the shredded crab meat. Add the lemon zest, salt, and pepper. Mix well. In a bowl, combine the cream and finely chopped parsley. Mix well. Once the risotto is done, turn off the heat and combine the risotto with the cream mixture. Put in individual plates and serve. Extra note: Some people are allergic to some types of shellfish. If you plan to serve this dish during your next dinner party, make sure to know beforehand that none of your guests are allergic to it. If you would like to read some of our other delicious risotto recipes, you can also check Risotto with Asparagus and Chicken or Risotto with Porcini Mushrooms. I’ve tried the risotto with ham, risotto with squid ink and risotto with crab and I love all of it esp. 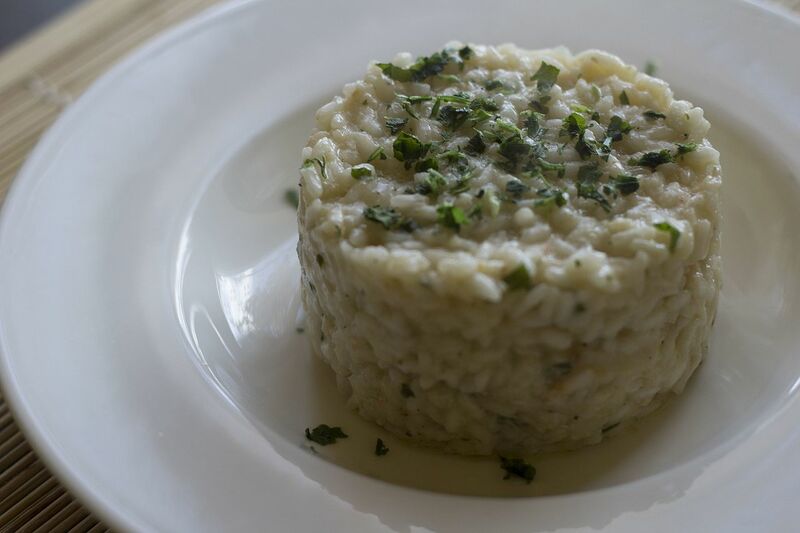 risotto with crab… good for dinner or breakfast. I’m so thankful that I get to discover nonna box. I’ve tried almost all their recipes and my husband is loving me more. I have not try eating risotto. and since, crab is one off my favorite, I wanna have my very first risotto with crab. wish me luck!